There’s a new poll out about Montana’s US House and Senate races, and its results are very different than those that have come before. The Big Sky poll from the University of Montana shows Jon Tester leading Matt Rosendale in the Senate race by 24 points. Three previous polls this election cycle have had the Senate race at nearly dead even. And the new Big Sky poll shows Kathleen Williams ahead of Greg Gianforte in the House race by 13 points. Click Here for full Big Sky poll results. A June poll by Gravis Marketing put Williams ahead by about half that margin, and one in September by the same polling firm had Gianforte ahead by nine points. "These numbers did surprise us," said Justin Angle, a UM marketing professor who co-directed the Big Sky poll, which has a margin of error of plus or minus 4.5 points. "Yeah, we sort of feel like, OK, this is a bit of an outlier result-wise, versus other polling entities," Angle said. "But, it's a different methodology, and all we can do as pollsters is just be super sure that we've done it the right way according to our methodology." Angle said they did that, and had their results and methods audited by an outside academic expert in Arizona. Those methods included getting a representative sample that included registered voters in every county in Montana, and were weighted to reflect the demographics of the Montana electorate overall. UM Professor Christina Barsky, a member of the Big Sky polling team says there are several reasons that could explain why their results are so different than those released earlier this year by other polling firms. "We have to remember that this is a moment in time that is removed from current events," Barsky said. The Big Sky poll called voters between August 13th and the 31st. That was before any of of the three televised House and Senate debates, and before the Senate hearings on Supreme Court nominee Brett Kavanaugh. A poll taken via phone by Remington Research in July had Tester up by just three points, far less than 24 point lead the the Big Sky poll showed in August. Remington’s poll also sampled 2,200 more likely voters than the Big Sky poll. But the Big Sky pollsters point out that different polls have different ways of determining who is a “likely voter,” compared to simply a registered voter. Two other polls taken this month found Montana’s major party Senate candidates within two to four points of one another. "This is what we’re capturing, a moment in time," said Sara Rinfret, the director of UM’s Master of Public Administration program, which conducted the Big Sky poll. "We use a very rigorous approach, and accepted by the discipline, and we’re releasing the results today." She says they’re working on a follow-up survey this week that will be released October 25. "One of the things that we learned in the last presidential cycle, and granted this is a mid-term election, is that a lot of pollsters were not releasing their results, because they were outliers," Rinfret said. "and so something that we teach our students is that we have an obligation to release our results." This is the second year that the Big Sky poll has been conducted, and the first time it’s asked Montana voters about who they intend to vote for. 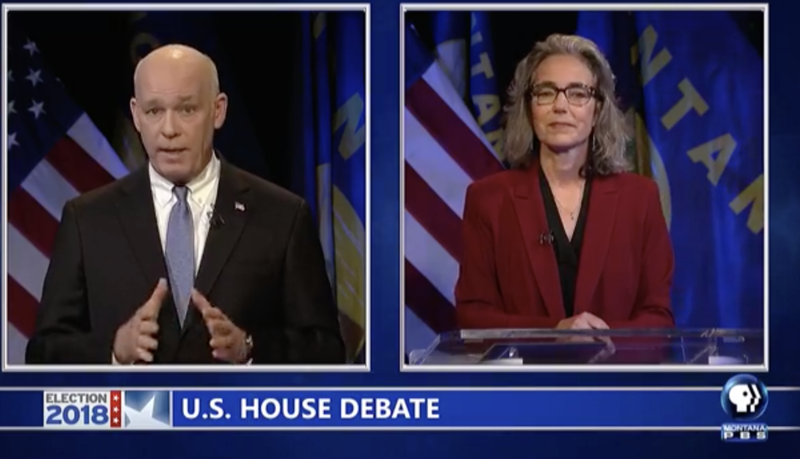 Two of Montana’s congressional candidates squared off Saturday night for their final debate before November’s election. Republican incumbent Greg Gianforte and Democratic challenger Kathleen Williams’ debate took place on a closed MontanaPBS set in Bozeman. The Kavanaugh effect is tightening the Senate race; new ads are getting nastier; debates are sharpening candidates’ profiles and messages; and Libertarian candidates could impact the outcome of close races. 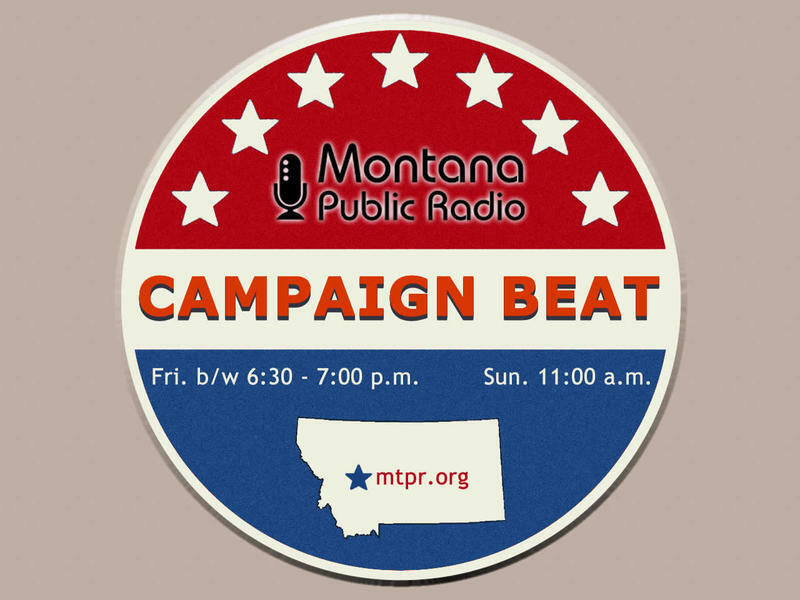 Sally Mauk, Chuck Johnson and Rob Saldin analyze this week's campaign news now, on "Campaign Beat."